# Improve collaboration and information sharing. __Most important of all is… wider access to valuable information, which is why I’m telling you about this new report right away! “. . .Right now, hundreds of millions of Africans rely on farming for a living, but they don’t grow as much—and they don’t sell as much of their surplus—as they could. As a result, Africa had to import $40 billion worth of food last year. Something is not functioning properly when half of the continent’s labor produces food, and the continent still buys its food from somewhere else! So what is going wrong? Why aren’t African smallholders tapping into that $40 billion market? The main problem stems from the fact that agricultural markets, like banks, exist on a formal plane, whereas smallholders exist on an informal one. So farmers and markets cannot communicate effectively. Smallholders don’t know what the market will pay. They can’t grow crops according to the market’s specifications because they don’t know the specifications. They have no way to learn the farm-management practices that would let them double or even triple their yields. Instead, they grow mostly what they can eat or trade locally, the way they’ve always grown it. As long as this information disconnect exists, there will be a related physical disconnect. The rails and roads that would take crops from the farm gate to the market don’t exist, because the market doesn’t want the crops the farmers are growing in the ways and volumes they’re growing them. So farmers are isolated, stuck with no money and no voice that the marketplace can hear. But digital technology can act almost like a secret decoder ring that links the formal and informal sectors. Smallholders are already using mobile phones to communicate within their networks, to talk to family and friends. The institutions that make up the formal marketplace communicate in much the same way. So it is now possible to generate a two-way conversation between Africa’s producers and Africa’s consumers—and this is an entirely new conversation. Each party will be able to express its needs to the other for the first time ever. Imagine a smallholder farmer who can discover, easily, that yams are expected to fetch a high price this year. She can also contact a local cooperative to combine her yams with those of her neighbor, satisfying the buyers’ volume requirements. 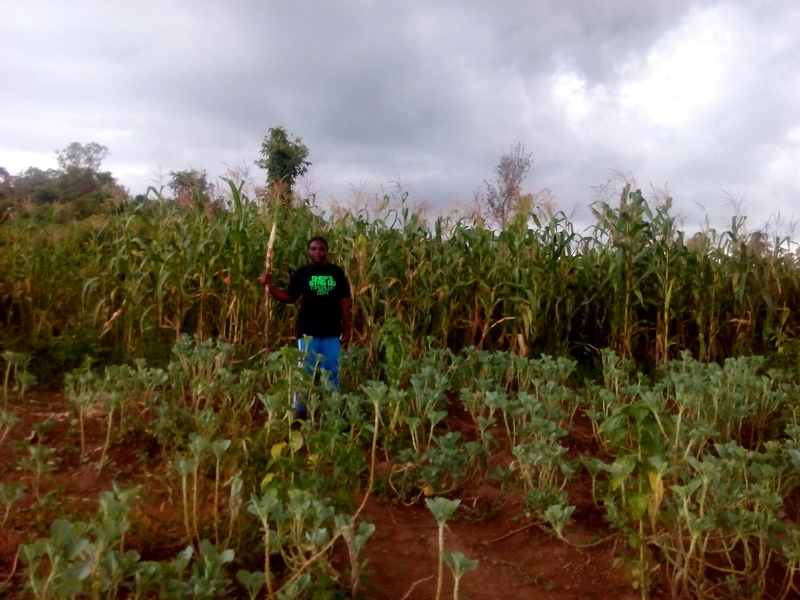 Because she is assured of sale at harvest, she can afford to take out a loan, using her phone, to buy fertilizer or better storage or whatever else she needs to maximize her yield. 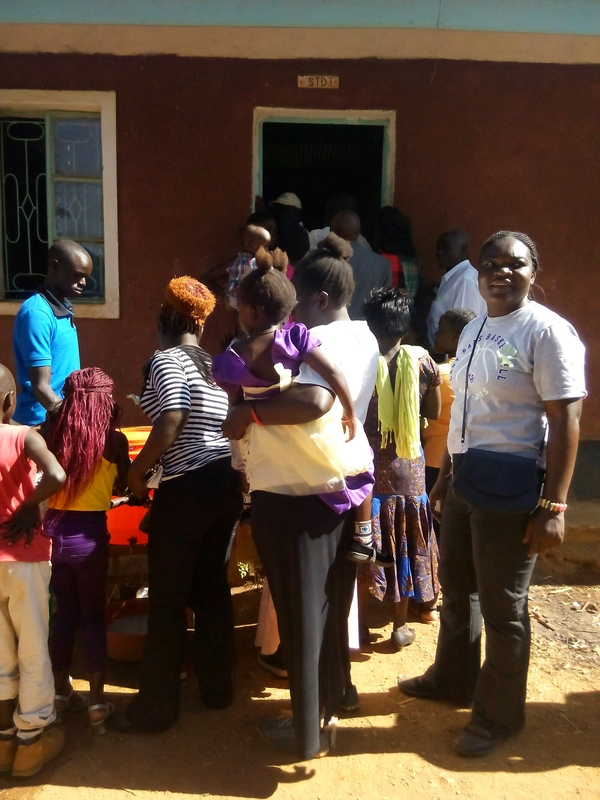 In the meantime, instead of waiting for a visit from an extension worker who may or may not know about yams and the soil in this particular region, she can get advice tailored by crop and soil type via digital video or text. When information can flow easily, when data is democratized, the cost of doing business in agriculture goes way down, just as transaction costs go way down when financial transactions are digital. The excessive time and money farmers, agribusinesses, and cooperatives spend managing the risk of doing business with unknown partners is a drag on efficiency. When these partners can know each other easily—can function as nodes in a single marketplace—agriculture will thrive. vantentine day is marked today we decided to inspire the children by giving them clothes as their guardian go out to work for food in order to at least have a meal a day. The children were excited with others opting to put on the clothes immediately. This just show how things we take for granted becomes the things some pray for everyday. The art of giving doesn’t have limitation hence each one of us have something to offer in their lifetime. Being a leaders doesn mean you wait until you are given opportunity to lead but rather identifying a problem then taking action to make the difference. Education the children is not only securing their future but also building peace because to build peace, we must promote fair and sustainable development that will relieve inequalities. Inequalities can drive and perpetuate conflict, which, in turn, hinders all aspects of development – leaving conflict areas caught in a continuous struggle.Income inequality impedes growth and hits the poorest of the world the hardest, whose wages plateau while chief executive salaries continue to increase rapidly. Not to mention that rising income inequality intensifies other inequalities therefore to close this wealth gap and therefore ameliorate other existing inequalities, Oxfam has made suggestions for policy-makers that stress transparency and easier accessibility. They have also called for an approach that would require all countries, developed and developing, to cooperate in ensuring a multilateral system for exchanging information on a regular basis. The Sustainable Development Goals (SDGs) for 2030 aim to further the Millenium Development Goals (MDGs) of 2015 with a new set of objectives. The MDGs reached the goal of halving the world’s extreme poverty, but now the bar is set higher with SDG #1: to eradicate extreme poverty altogether. In addition, the SDGs now also make clear the important link between development and peace. SDG 16 sets a goal of promoting “just, peaceful, and inclusive societies” as a critical part of the global development agenda. If we are to reduce inequalities and violence and find permanent, peaceful solutions to conflict, local communities themselves must be at the forefront of leading the peacebuilding and development agendas in their societies. By supporting local peacebuilding, we support sustainable solutions to conflicts and strengthen the development potential of societies. Building peace from the ground up, instead of trying to impose it externally, is lasting and results positively in every aspect of a society, including the economy. Extreme violence and conflict have dire effects on a country’s economic growth and result in injustices that last for years. Areas that are ridden with conflict have to face healthcare costs, the costs of criminal justice and social welfare responses, in addition to the costs of lost productivity and security services that could have been put to more constructive social spending. Promoting peaceful alternatives to violence and advocating for human rights is vital to the process of eradicating injustices and reducing global inequality.